Detoxification of my body has started. A week ago today I was taking between ten and fifteen oxycodone tablets a day. Today I have tapered to just one five milligram tablet. I figured that if I was able to taper down before I stopped taking them the lasting withdrawal symptoms would be easier to bare. Boy was I wrong. At about 14:00 today I started to get restless. I is now 22:00 and I can barely describe how I feel. It’s amazing that I can even type. But honestly as long as my brain stays moving and my fingers stay typing it doesn’t feel all that bad. Hence the journal entry. My body aches and every muscle fiber in my body is screaming with energy to move, yet I cannot. My lower back and neck feel like I have been in a vehicle collision. I want to run so bad but I’m too tired to walk ten feet to the bathroom. Doesn’t make sense does it? I know. My hands at rest shake like Michael J. Fox and my feet won't stop bouncing. Did I mention the headache? Yea that’s here too. Oh yea! I also forgot to say that I’ve almost doubled the recommended dose of Advil and earlier today I took three migraine pills that have aspirin in them. If you don’t know this is not a recommended mixture of medicines because of the risk of stomach problems and bleeding. But lets be honest huh? I was just taking ten to fifteen percocets a day last week so I think I’ll survive. I need to be studying but the only thing I can think about is getting these thoughts out of my head and wishing someone could read this and say “Dude I have been there before!”, “It gets better, don’t quit!”. The battle in my mind right now because of my profession as an EMT makes this all the more difficult. I know all the negative side effects on a medical level. I KNOW THIS IS KILLING ME, but I feel powerless to stop taking those insignificant little pills! So I’m now fighting the battle of take them don’t take them and I’m hearing in my head all the medical lessons of how when people relapse it starts all over. DARNIT! I KNOW THIS! So why can’t I stop? I can go on all night but honestly I just want someone to talk to whose been where I am. I feel so helpless even having a strong support system. They don’t know what it feels like to be where I am. Comments for Just want some insight. Opiate addiction attacks the brain and stopping causes the brain to react. Your brain is trying to adjust to not having an opiate. All the negative things you are feeling are caused by your brain trying to re-balance itself after originally adjusting to your opiate usage. That's why addiction is so dangerous, because your brain keeps adjusting and you need more and more to feel "normal". Have you considered going to get some medical support? Suboxone may be useful for you so that you can moderate your withdrawal symptoms while still allowing your brain to re-balance itself. As an EMT you know that medical support can be VERY helpful, hopefully you can get the support you need to avoid ever having to go through this again. I have suffered from chronic widespread pain for over 20 years, and have used Vicodin and Morphine (tablets) to varying degrees during that time (nothing now but Advil). I always took them as prescribed, and rarely got a "buzz" from the Vicodin. At the height of my pain, the doctor had me taking the morphine every 8 hours, with Vicodin for breakthrough pain. IRONICALLY, I was still suffering a lot of pain! Around that time, I lost my job, my insurance and my doctor, and was forced to quit them [the pain meds] both. I did not sleep for 2 weeks. Miserable. Nerves shot.... it was then that I recognized my addiction to these drugs! The brain is in charge. I believe the brain will create physical pain in order to get the drug, and after you stop giving it the drug it will, in time, stop creating the pain cycle. This is revolutionary, perhaps, but maybe untapped because you have to be on the "inside" of addiction to understand this. So, if pain was the beginning of your road, there is hope on the other side. 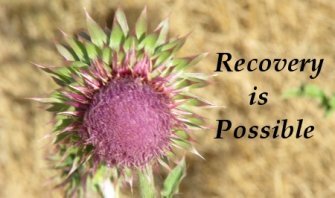 If it grew from a psychological need for the euphoria, and relief in taking the drug, then perhaps more difficult to overcome--but you can do it. Sounds like a platitude, I realize, but I have some insight there, too. I gave up alcohol over 8 years ago, and the critical step in that recovery was surrender to God, asking Him to take the desire to drink from me...and he did! Keep trying, sometimes it takes more that once to bring it together.